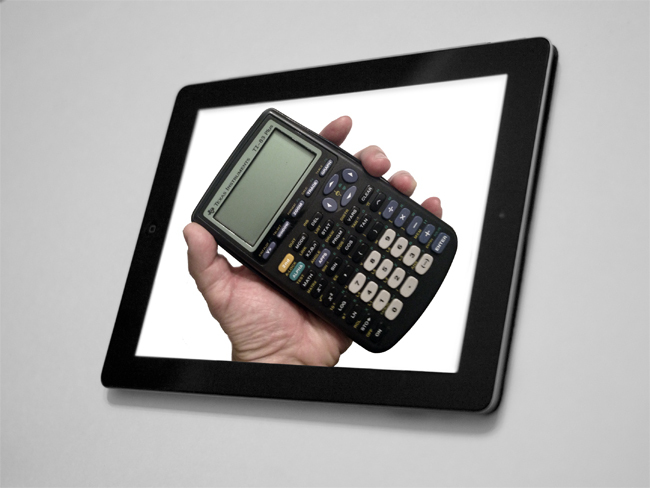 Why educational technologies should be more like graphing calculators and less like iPads. An Object Lesson. Last year, while cleaning out the basement of my childhood home, I discovered a plastic storage bin marked “Calcusoft.” Inside were piles of notebooks filled with sketches, storyboards, and lines of code, and buried beneath it all, a TI-83 Plus graphing calculator. I bought the calculator the summer before eighth grade, when it was included on a list of required supplies for students entering algebra. At the time, owning a graphing calculator was a small but significant rite of passage for a junior high student. It was a sign of academic sophistication. It announced to younger peers that the equations you were expected to solve outpaced the primitive features of meager, four-function devices. But most importantly, graphing calculators were programmable, which meant they were equipped to play games. While possession of a traditional handheld gaming system constituted a brazen breach of school rules, playing games on a calculator maintained the appearance of genuine scholarly work. A graphing calculator was like having a school-sanctioned Game Boy. Calculators did not always have this allure. The earliest handheld models were only “programmable” in the sense that they used rudimentary code to complete repetitive computational tasks more efficiently. It wasn’t until 1990, when Texas Instruments released the TI-81 graphing calculator, that the medium became a feasible platform for game design. Unlike earlier devices, the TI-81 was equipped with a simple yet versatile programming language called TI-BASIC. Anyone willing to learn a few elementary commands could create text, graphics, and movement in minutes. A decade had passed by the time I purchased my graphing calculator, and in the years between a robust online community had formed. These programmers — many of them high school students — had even figured out how to program their calculators in more complex source languages. Unfortunately, accessing such games required specialized knowledge and equipment, making the best programs precious. I wanted more of these high-quality games, and I wanted to learn how to make them. For me, it began with “Mario” — a TI-BASIC game based loosely on its Nintendo-trademarked namesake. In the program, users guided an “M” around obstacles to collect asterisks (coins, presumably) across three levels. Though engaging, the game could be completed in a matter of minutes. I decided to remedy this by programming an extended version. I studied the game’s code, copying every line into a notebook then writing an explanation beside each command. I sought counsel from online tutorials, message boards, and chat rooms. I sketched new levels on graph paper, strategically placing asterisks in a way that would present a challenge to experienced players. Finally, after a grueling process of trial and error, I transformed my designs into code for three additional stages. Seeing my classmates play my extended version of “Mario” was so fulfilling that I soon began creating and coding original games under the moniker “Calcusoft” — a juvenile attempt to brand my programming work. Eventually I advanced from TI-BASIC to computer-based languages to tackle more ambitious projects. By senior year, I developed an elaborate role-playing game set in a virtual re-imagining of my school. The protagonist wandered through pixelated, monster-infested versions of real-life classrooms and hallways, battling for the safety of students and teachers. Due in part to the game’s subtle nods to familiar school-wide jokes about the building’s architectural features and eccentric faculty, the program spread quickly among classmates. They expressed satisfaction in seeing a familiar environment transformed into the virtual stage for an apocalyptic battle, and I took pride in seeing my work enjoyed and shared by friends and strangers alike. After graduation, my interest in calculator games was supplanted by more collegiate pursuits. Truthfully, I’d almost entirely forgotten about my foray into programming until I discovered the “Calcusoft” storage bin in my parents’ basement. In the years since, I’d become a high school English teacher and started a PhD in education. As such, even though paging through piles of code and illustrations was a pleasant nostalgia trip, I was most struck by the volume and depth of learning my TI-83 Plus had enabled. If you had asked them, most of my high school teachers would have called me an unmotivated student or said that I lacked discipline and didn’t take learning seriously. And yet, that abandoned storage bin told another story: with the aid of my calculator, I’d crafted narratives, drawn storyboards, visualized foreign and familiar environments and coded them into existence. I’d learned two programming languages and developed an online network of support from experienced programmers. I’d honed heuristics for research and discovered workarounds when I ran into obstacles. I’d found outlets to share my creations and used feedback from others to revise and refine my work. The TI-83 Plus had helped me cultivate many of the overt and discrete habits of mind necessary for autonomous, self-directed learning. And even more, it did this without resorting to grades, rewards, or other extrinsic motivators that schools often use to coerce student engagement. In light of this, I’ve now begun to see Texas Instruments graphing calculators as unique among educational technologies in that they enable learning that is couched in discovery more than formal teaching. Though they are still largely used as devices for computation, their programmability affords uses that exceed traditional calculators. These uses, in turn, can be marshaled in service of two very different yet interdependent aims of education — convention and subversion. Convention trains students to know and navigate established rules of language, thought, and society. It joins students to a prescribed curriculum and instructs them to recall facts, contextualize information, memorize procedures, and solve equations. Historically, calculators have been used in schools to support this end. By allowing students to compute answers efficiently and accurately, calculators become an extension of a human capacity for calculation that dates back to the earliest forms of numeracy. It’s why I had to purchase a TI-83 Plus years ago, and it’s why calculators are still required in schools today. But in addition to its interest in convention, education is also deeply concerned with equipping students to question, challenge, and subvert these constraints when necessary. This “subversive” side of education is not a new idea: Plato’s challenge to the sophists and Rousseau’s encouragement of first-hand ideas offer two among many more historical examples. Subversion encourages students to take an imaginative stance toward learning, to embrace failure as an integral part of success, to see the world for what it is and consider what it might look like under a different set of conditions. It may be tempting to see convention and subversion as incompatible, but education thrives in the healthy tension between the two. Unfortunately, the latter resists the regimented curricula and bureaucratic order of schools, so there is rarely room for it in today’s classrooms. That’s why the TI-83 Plus and its progeny are so unique and significant. Texas Instruments unwittingly embedded a flexible programming environment into a ubiquitous technology accessible to (and even required of) most high school students. 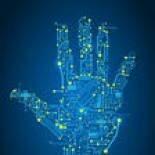 These devices not only fulfill their conventional role as tools for calculation but can also support more subversive uses. The TI-83 and its kindred are Trojan Horses, sneaking in subversive education under the auspices of convention. For example, take the notion of “correctness.” School typically assumes that answers fall neatly into categories of “right” and “wrong.” As a conventional tool for computing “right” answers, calculators often legitimize this idea; the calculator solves problems, gives answers. But once an endorsed, conventional calculator becomes a subversive, programmable computer it destabilizes this polarity. Programming undermines the distinction between “right” and “wrong” by emphasizing the fluidity between the two. In programming, there is no “right” answer. Sure, a program might not compile or run, but making it offers multiple pathways to success, many of which are only discovered through a series of generative failures. Programming does not reify “rightness;” instead, it orients the programmer toward intentional reading, debugging, and refining of language to ensure clarity. This is a form of learning that privileges the process of discovery over the interventions of formal teaching. It can fuel an intrinsic desire to pursue similar learning experiences, but even more, it gradually transforms the outlook of the student. Much like skateboarders have an imaginative orientation that allows them to see textures and movement in the curvatures of everyday objects — a park bench, a railing, an empty swimming pool — programmers learn to see their immediate environment as a creative space, a source for inspiration and improvisation. It was this orientation that allowed me to see my high school as a possible setting for a role-playing game. And as my classmates played along, even those who knew nothing about coding were exposed to that same orientation and the tension of subversion and convention that formed it. This is distinct from other popular educational technologies — many of which are marketed as subversive tools to “disrupt” traditional notions of learning, but often end up preserving those aspects of schooling that are most in need of disruption. In recent decades, districts have spent millions of dollars equipping classrooms with TVs, computers, and Smartboards — only to find that such devices are mostly used to aid formal teaching instead of facilitating student discovery. The iPad is among the recent panaceas being peddled to schools, but like those that came before, its ostensibly subversive shell houses a fairly conventional approach to learning. Where Texas Instruments graphing calculators include a programming framework accessible even to amateurs, writing code for an iPad is restricted to those who purchase an Apple developer account, create programs that align with Apple standards, and submit their finished products for Apple’s approval prior to distribution. As such, for the average student, imaginative activities on an iPad are always mediated by pre-existing apps and therefore, are limited to virtual worlds created by others, not by students themselves. Pair this with the fact that most teachers and administrators only allow classroom use of a few endorsed apps and it becomes clear that these devices are doing more to centralize the school’s authority over the learning process than to encourage self-directed creative activity. The significance of these subversive lessons is not just that they can be learned through programming, but that a programming environment in which they can be learned is available in a school-sanctioned object. When Texas Instruments equipped the TI-81 to support an adaptable programming language, it invited students to begin using an educational technology deeply ingrained in the daily life of the classroom in a way that challenged the hegemony of conventional schooling. And while not all students accepted this invitation, many did — whether for a week, a semester, or, eventually a career. For those like me who did not become programmers, whose notebooks of code and illustrations sat untouched in a musty basement for the last decade, learning to program taught habits of mind that persist to this day in small yet vital ways. In my work as a teacher, I often hear colleagues lamenting the widespread use of calculator games among students. They consider such forms of “play” an abuse of educational technology and a threat to student learning. But this assumption ignores the tacit learning that arises from repurposing conventional learning apparatuses. My TI-83 Plus awoke a curiosity that exerted a subtle but powerful push toward autonomy and self-direction. Texas Instruments graphing calculators offer a much-needed reminder of the tremendous educational potential that lies latent in our most common objects. Though many devices enter our classrooms for different reasons — they are not neutral. Some are used to reinforce the authority of formal teaching; some engage students in the process of imaginative discovery. By balancing conventional and subversive academic possibilities, these latter objects show us the real potential of learning technologies. Not as sterile knowledge-delivery devices policed by authorized educators, but as boundary objects between endorsed educational utility and creative self-expression gone rogue. This entry was posted on September 1, 2013 by techinamerica in TechED and tagged Calculator, Doctor of Philosophy, Graphing calculator, High school, IPad, Texas Instruments, TI-83 series, TI-BASIC.